DEC’s WICA series aluminate cement is the pure cement manufactured by the sintering process, contains mainly calcium aluminates. It is a hydraulic binder which is designed to be used at very high temperature. Besides excellent high temperature performance, WICA series aluminate cement also has the stable hydrating capacity, rapid strength development and outstanding mechanical strength. 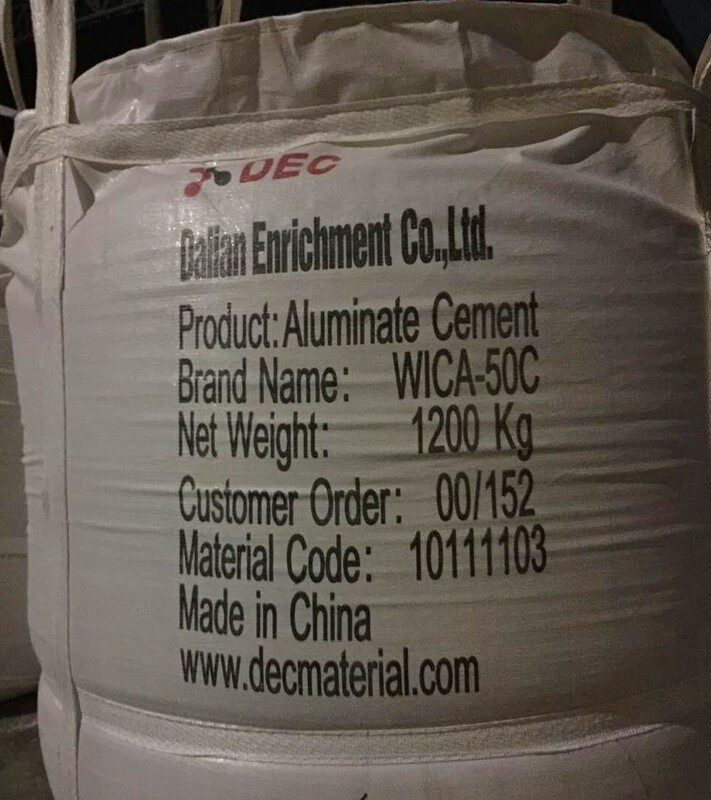 WICA series aluminate cement has the full lines products for manufacturing the refractories such as high , medium , low and ultra-low cement castables products for casting and gunning. © Copyright 2015 DEC Material. All Rights Reserved by Dalian Enrichment Co., Ltd.